Venice, the city on water. Truly, I have never in my life experienced a more unique & quaint place! Strolling along the streets of Venice && the outer islands (Especially Burano, which is featured in this post) felt like I was whisked away to a simpler time & place. In Venice, Italy there is truly a sense of “island time” && people really seem to have their priorities straight! 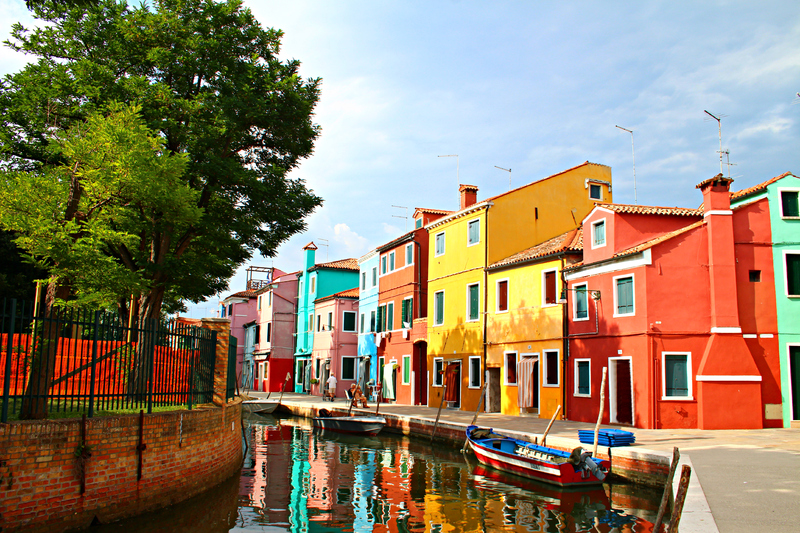 While there, we explored the outer islands of Murano, Torcello, && Burano! 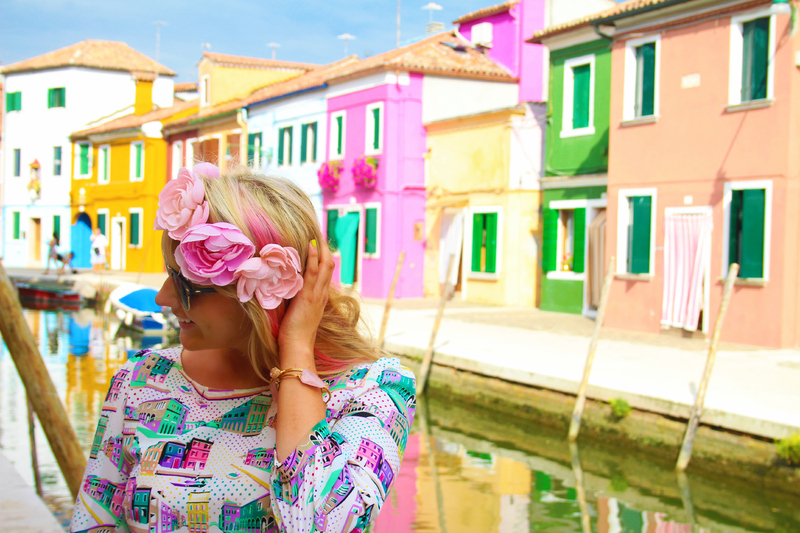 Burano was by far the most eccentric & charming place I have ever been to! 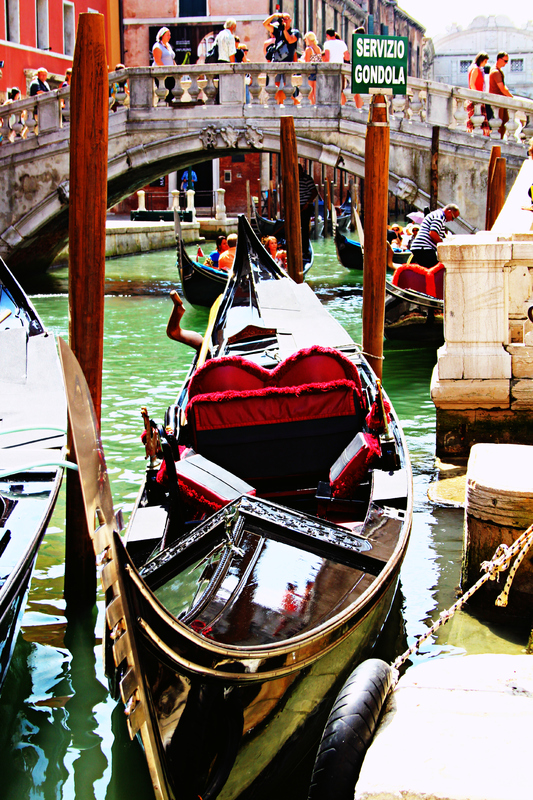 I could truly see where the inspiration for my ModCloth ‘From Start To Venice’ top came from! && of course it was only fitting that a adorned this adorable article while I explored this amazing place. “Emelia” my store on Burano! I could just imagine Zachary & I, sitting on our quaint porch of our most colorful town home, sipping rosé with our dear friends && talking vivaciously, with our hands of course! Fresh flowers on the table, honey straight from the comb, & lace table cloths for days! Oh! I can just se it now! I made my flower crown just for this trip! Full outfit photo below! I can’t thank ModCloth enough for allowing me to take a piece of my trip home with me! I will never forget the amazing place! I am marveling at the beautiful work you have on your blog. I am one proud Momma Bear! Next Next post: Floral Fox Fiesta!